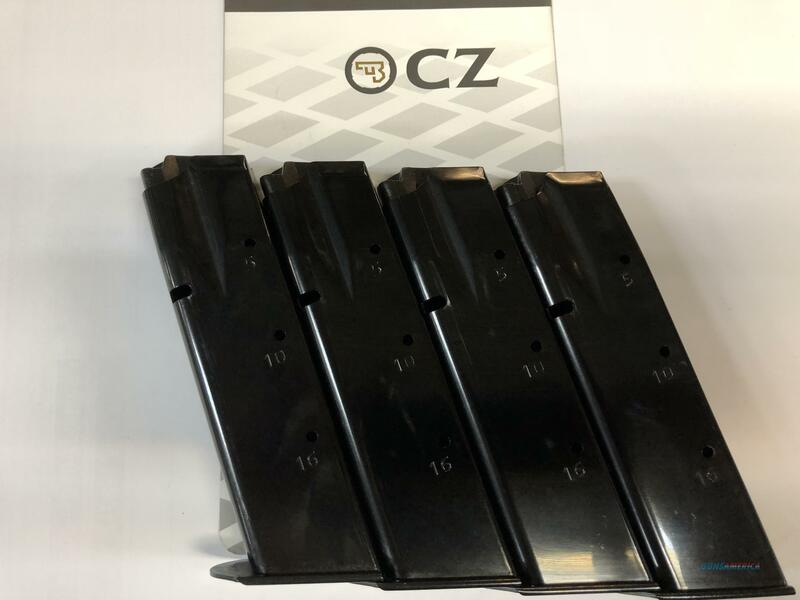 Description: Lot of 4 new mags for a CZ 75, 16 round mags removed from stock firearms to bring them into compliance of new Vermont laws. Brand new, unused mags. Our loss is your gain! Free shipping!! The Powderhorn Outdoor Sports Center has been in busiess for over 20 years. We do business in all types of firearms and accesssories. All prices listed are for cash, Money Order or debit cards; NO PERSONAL CHECKS ACCEPTED, SORRY FOR THE INCONVENIENCE. If you wish to use a credit or debit card please add an additional 3% for processing. Call or visit to purchase!